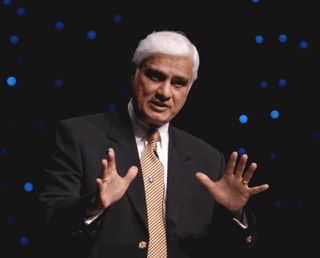 Ravi Zacharias provides a helpful apologetic framework that’s useful when discussing difficult issues. He breaks all debates into three levels. The first level is logic, which is why we believe what we believe. The second level is imagination, feeling and experience, which covers why we live the way we live. The third level is the application to reality or why we legislate for society the way we do. Based on these levels, all beliefs can be tested as to whether they are tenable in an argument, livable in reality and transferable to others. In Zacharias’ framework, our arguments must begin by establishing truth (level 1) before applying it to ourselves existentially (level 2) and then prescribing it to others (level 3). In every area of life the questions associated with these levels must be answered sequentially. 1) Is my belief tenable? Can I defend it with the laws of logic? 2) Is it livable? Can there be a harmony in existence? 3) Is it transferable? Do I have the right to make moral judgments? Many of our everyday moralizing and prescribing in life are had at the third level, which Zacharias calls kitchen table conclusions because they are not grounded in logic. Questions like “Is my good grandmother going to hell?” and “Is homosexuality immoral?” fall into this category. Discussions at this level can be highly emotional and rarely lead to solid conclusions because the they are an exchange of opinions without foundational authority or a moral referent. In a relativized culture, everything becomes a matter of taste or preference. The second level is problematic to argue at as well because it is the existential realm of art and imagination. It isn’t bound by rationality. Zacharias recommends that all debates be brought up to the first level, so that the laws of logic can be applied and truth identified. 5) Up to this point, you’ve only been asking questions to understand the perspective where the person is coming from. Now, you can begin to provide answers. You should build from your authority source, the Bible, up to answer the question about what is good, right or moral. Zacharias details this process in the appendix of his book, A Shattered Visage, and applies it to fallacies in atheism. This entry was posted in Apologetics, Discipleship and tagged Ravi Zacharias three levels, RZIM apologics framework. Bookmark the permalink.